Flannel samples from the Royal Welsh Warehouse. The details on the sample card are shown in the table below the image. 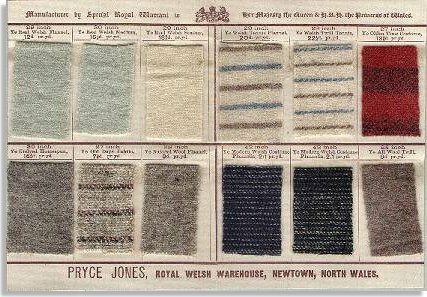 PRYCE JONES, Royal Welsh Warehouse, Newtown, North Wales.